I'm behind in reviews, so I'm doing a few round ups of titles -- better a couple paragraphs than nothing! Salt & Storm by Kendall Kulper. Little, Brown. 2014. Reviewed from ARC. Salt and Storm is set in an alternate 1860s, where witches and magic are real. Avery is the granddaughter of the witch of Prince Island, and should have been trained and raised to be the next witch. Except, her mother -- who refuses to have anything to do with magic or witchcraft -- drags Avery away from her grandmother and forbids her to see her. At sixteen, Avery is trying to escape her mother's control and claim her inheritance. What I liked most about Salt and Storm is that Avery wasn't aware of the full picture. 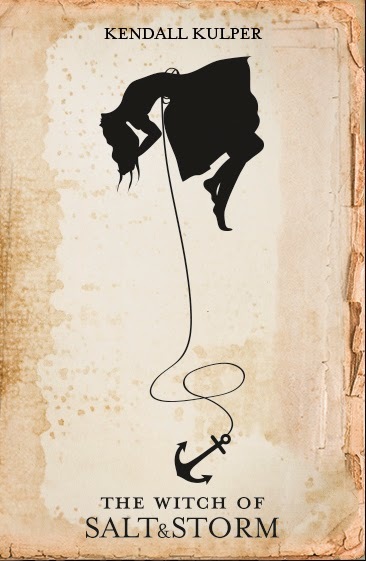 She knew what she knew, believed she had the full picture, believe she knew the real story about the witches of Prince Island. She thought she knew herself, but it turns out things aren't what she thinks they are. Which means what she wants isn't what she thinks it is. I also like the historical information in here, about life on nineteenth century islands. 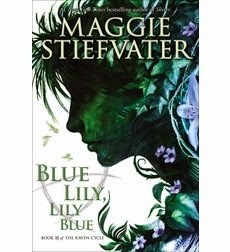 The Raven Cycle #3: Blue Lily, Lily Blue by Maggie Stiefvater. Scholastic, 2014. Review copy from publisher. Sequel to The Raven Boys (Book 1) and The Dream Thieves (Book 2). This continues the story of the search in Virginia for a missing Welsh king. The searchers are prep school students Richard Gansey III (the driving force behind the search), his friends Adam Parrish, Ronan Lynch, and Noah Czerny, and local girl Blue Sargent. By the events of Blue Lily, Lily Blue, I'm not going to lie: it's complicated. There are a mess of characters, plus the search, plus the issues that the characters are dealing with in the present. Gansey is driven by his search; Ronan discovered dangerous family secrets, including his own ability to pull things out of dreams into the real world; Adam is a scholarship student with the drive for more and a serious, well earned chip on his shoulder. Noah has his own issues. And Blue: Blue is from a family of psychics, without any real power herself, and with a curse upon her: her kiss will kill her true love. And since she's falling hard for Gansey, and since one of her aunts foresaw Gansey's death, it's, well, messy. Like life. Now take life and add in magic and history, myth and legend. Readers know that I like when teen books have interesting adult characters: well, this has them and then some. The enigmatic Mr. Gray -- I mean, how often is a hired killer so sympathetic and likable? (And yes, I keep picturing him as Norman Reedus). Blue's mother has disappeared, but this allows other adults to move center. And Mr. Gray's boss also enters into the picture. It's not just magic and myth that is a danger. The only frustration with Blue Lily, Lily Blue is there is still one more book in the series. So while the adventure moves forward, and questions are answered, there's still so much more to find out! 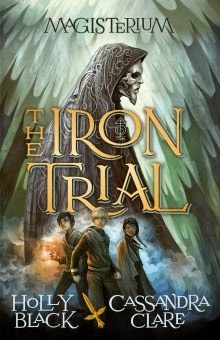 The Iron Trial (Book One of Magisterium) by Holly Black and Cassandra Clare. Scholastic. 2014. Review copy from publisher. The Iron Trial starts a series set in the modern world, where magic is real -- but hidden. Twelve-year-old Callum's father has done everything possible to keep Callum away from this world. Call is supposed to do everything possible to fail his entrance tests to the Magisterium, a school of magic hidden in the United States. Instead, Call finds himself in the Magisterium, studying magic, and finding out his father hasn't been totally honest with him. Magic isn't the big, dangerous, evil he's been told about. Part of what Call learns about are some epic battles from over ten years before, including those who fought on the good side and the bad side. (Magic is neither good nor bad, but those who practice it -- they fall on those two sides.) Call is sometimes frustratingly ignorant about magic and his own family's connection to it, but it works for the book -- the reader learns as Call learns. The ending of the book -- oh, the ending! Personally, I felt as if the story was just truly beginning with the ending, and that the real story will be next year, now that the reader, and Call, has the full knowledge of what is going on. Or do we know as much as we think? Maybe I'm just not objective with the series but I thought Blue Lily, Lily Blue was a great jumping in point for the series. Now I'm wondering if that was crazy talk. 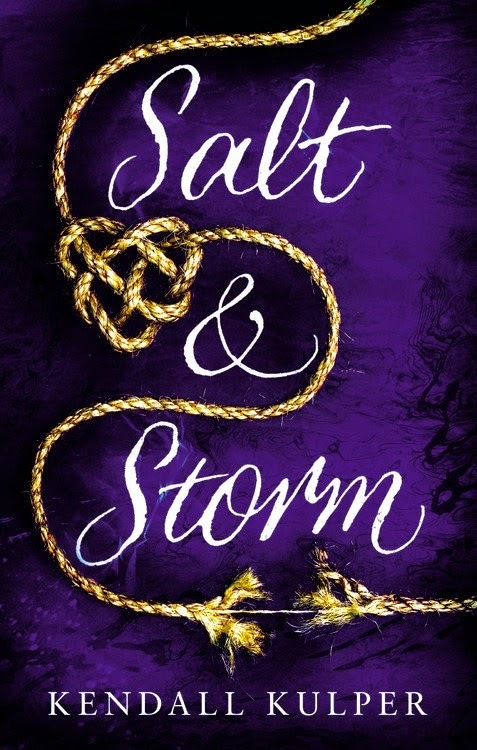 Salt & Storm was one of my most anticipated reads last year but also one that wound up falling flat. Avery is such an interesting character but so much of the story is so very problematic that I was left deeply disappointed. Alas! All the stuff with Noah in BLLB made me so sad! Part of me doesn't even want to read the fourth book because I fear things can't end well for my dear Noah! Jenny, is there any way for things to end well for Noah?